Morning friends ♡ Waking up in my #Fairyland bedroom. 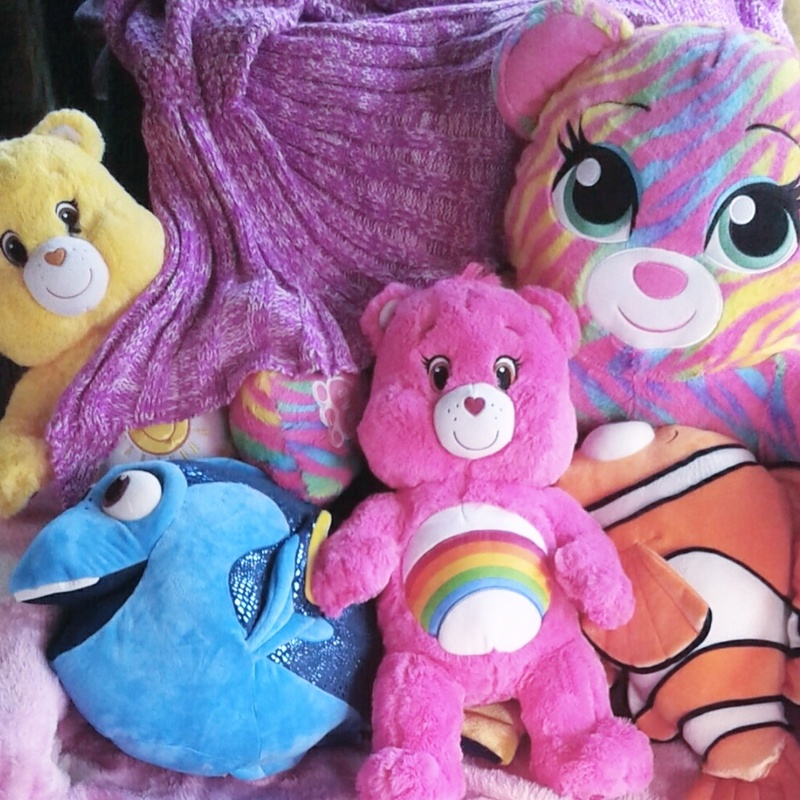 Pink lights with blue fairy lights and tons of #buildabear #teddies & #lalaloopsy dolls…it’s the bestest. Weird dreams…never eat late even if you’re hungry…it always ruins my sleep. I only had a tin of tangerines and it woke me up too much and took ages to fall asleep. Now I feel v sleepy so gonna caffeinate myself into #lushcosmetics #bathtime and into the office! Today’s schedule isn’t too bad. Work catch up bits and bobs on the laptop (on the work laptop – which I keep using in the bedroom not office because it’s warmer and I can use the other laptop to watch #creepypasta and catch up with my youtube channels while I work). And then from 7pm spells. 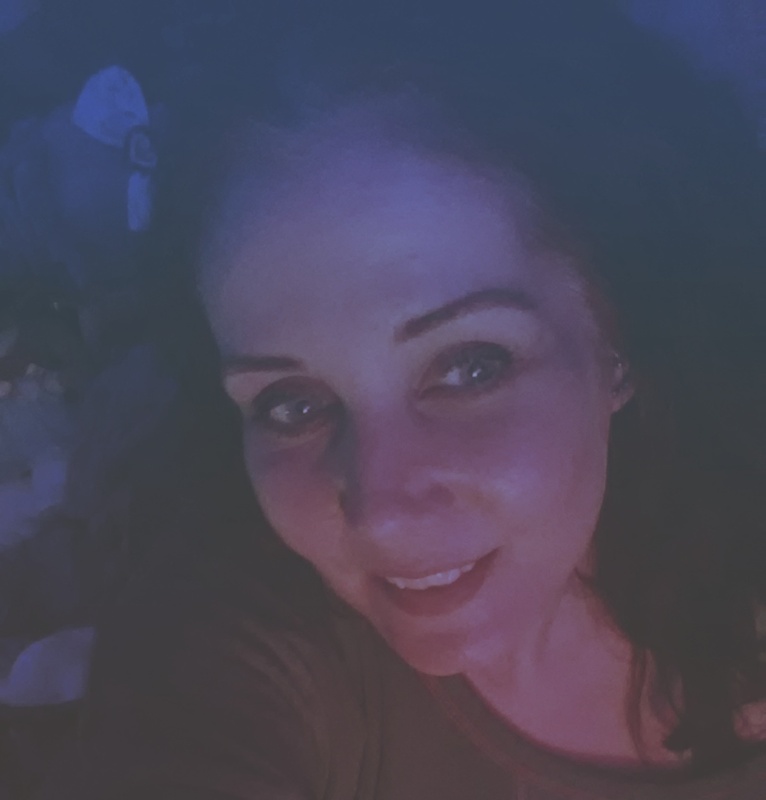 3 currently scheduled so I will do two before midnight, eat and chill, one after midnight then my #japa #mantra #meditation…then wind down before nap naps. Unusual week as didn’t have any spells last night (Friday) but do have a couple for Sun and Mon. It’s gonna feel like a really short week. New special offers for Mayastar subscribers will go up today. And the Killing Moon Karmic Reversal Ritual for Halloween (50%) discount option, will be finishing. BUT after considering the matter for a while I am going to be reducing the fee for the Killing Moon Karmic Reversal 30 Day Ritual Intensive at www.mayamagickal.net/killingmoon.htm And the Light Body Activation Initiations for #Lightworkers, #Magick, #EnergyHealing, #Starseeds, #IndigoChildren, #Empaths & #Psychics (on the same site). Back to their regular prices. During the past 2 years the demand has been so high for these that their low price compared to the amount of work involved couldn’t be maintained – demand for the KM meant more months than not I was working double cycles. But I think a better solition is to limit the number of places available on each cycle so that can’t happen. I will still offer a triple working KM cycle option for people but keep it so I can still fit everything in by ensuring when spaces are filled I update the next cycle date. “​It isn’t likely a spell would stop his actions – even if they are immoral it’s even worse karmically to use magick on another person without their permission. It would mean you were intending the same type of subterfuge or deception and karmically would be bad on you and wouldn’t necessarily work. The best option magickally would be a reversal spell or the banishing/blessing Intensive which is made up of a series of 6 spells and could be tailored to your situation. Focused on turning YOUR situation around rather than his. It may mean he realises what he is doing and comes back. It may mean you both come to an understanding and can somehow move forward either living with it for a time or living separately but re establishing your friendship. The thing with magick is it isn’t safe to use to try to make anyone else to anything else. Love spells and healing spells without consent are the same magickally as curses. Just as his actions if looked at from that philosophy are no different to someone using black magick! But the sooner deception stops – regardless of the outcome – the sooner things will be sorted out. Not necessarily to your design or his but to the way they are best at the present time. At the moment you are clearly distressed and a lot of this is your sense of powerlessness and the fact you kind of know the situation you are in but can’t see a way out that won’t negatively affect you. Magick can do much to break the impasse but you will need to prepare as much as you can for your future not panning out as you intended. It already isn’t. And I can promise it will get better – but I am sure there will be times it won’t feel that way. Maintaining your perspective will be hard but it will be easier because you’re focusing on creating change rather than focusing on past experiences in an attempt to understand the present. This in itself can be emotionally and mentally exhausting. Acknowledging that now has become so bad that there must be change is not easy but is important. A stagnant “now” is taking you nowhere and leaving you ill; and persisting in that situation does more harm than good. Change can be scary but sometimes it’s a lot scarier to imagine a situation in which nothing changes. I am sure you half think – I wish he would just come out and say it so we could talk and formally separate so I could deal with my pain and think of my future. Or that he would just leave for the same reason. That’s normal in situations like this and that’s why people often go to counselling during or after a break up. Being able to talk about it is so important to being able to heal because it is very much like grief. Not just for the person but for the life you expected. Your security. The things you believed were real that weren’t. That might be another way to prepare in fact. Ask your GP is you can be referred to a counsellor – begin talking about your situation in the real world. I believe taking some kind of conscious of practical action to support the spells is important. Whether you start keeping a journal or learn an energy healing method to become active in rebalancing your own energy (like Reiki), that’s a very good idea in manifesting the most positive changes and moving forward from hindering factors of the past. I know it’s not easy and motivating yourself even to seek my help is probably hard…taking steps to help you personally may seem very hard. But it’s important that your conscious mind begins to remember that you are a person of value regardless of what others do or say or how they behave. Or your situation. These negative thoughts about yourself are part of the problem as it currently stands and reminding yourself you are not defined by other people and your course is not determined by them can mean you emerge from the situation a stronger person than before – with more confidence and higher self esteem. Magick always works to restore harmony no matter how long its been missing. Harmony and wholeness are your natural state. It’s around now I start taking stock of where I am and where I want to be and what I should be doing now to make sure I end up where I want to be. I guess you consider it like a time of new year resolutions but for witches the last harvest (Samhain or Halloween) marks the end of the year and I personally tend to begin my considerations from my birthday on 14th September…and implement them between 1st November and the Winter Solstice (just before Christmas!). So my Christmas celebration is more focused on successfully completing a cycle and starting the new one well. I don’t celebrate the numeric new year – for me it doesn’t have any energetic significance. It was thinking about that, that made me realise non pagans have their own rituals for Christmas, New Year, Halloween and Easter that aren’t so dissimilar to my own. And although it may be seasonal energies that determine my cycles and how I align my life to them to make use of the natural tides…solar and lunar…most people have their own pattern to life an acknowledge certain days and anniversaries…bank holidays and so on…which essentially map their year in a unique way. I am sure many people make use of these and add their own to the main ones…personal days of rembrance or significance…and impersonal ones too…the end of the financial year, the deadline for submitting their tax return…all kinds of dates form part of your annual cycle blueprint. So anyone can use their own blueprint to include times of healing and cleansing, meditation, personal analysis, decision making, executing changes and hibernating. When the seasons change I tend to spend more time writing and reading and that’s the start of my “assessment” of the past year and the time I make note of changes to make and how I will make them. It’s so much a part of my life that I don’t allocate time to it…it’s part of the natural flow of my life and it’s the acknowledgement of pagan fire festivals, solar and lunar tides over the last 28 years that has made it so much of my life. On reflection I think it’s probably why I tend to be a high achiever…I tend to jettison time wasters or bad habits quickly and pay attention to what’s going on within and without myself, my life, my body and health, spiritual health and development and it really helps. There has never been a time I have seen a challenge in my life as insurmountable because my experience is that I roll with the punches in all areas of my life. I would encourage other people to do similar…working into their own annual blue print. Start by writing down a list of significant dates or times in your personal year – birthdays and holidays as well…and then notice how the year is split into different parts…reflect on how what you do, enjoy and even eat changes seasonally and notice how changes coincide with different times on your blueprint. Then think about what you naturally do or feel at those times of the year and how you might use that tendency to really make the most of things. An example might be obvious that at the end of the financial year people decide about changes or developments to their business. In the summer they may feel more positive and use this time focus on their physical health and become more physically active. If you become bookish in the winter maybe choose the subject matter you’re going to focus on during that season and make a proper study of it. Times that naturally lend themselves to family time like holidays and Christmas you might want to prepare for more mindfully and consider the real reasons you give and receive gifts and what you are celebrating. We can give meaning to our lives and actions simply by paying attention to what we do. And while I advocate meditation and energy work because that’s what I teach through Mayastar Academy Online Natural Healing & Spiritual Development, I do believe a great deal can be achieved in our personal, professional, spiritual and health simply by becoming more aware of these things. Self awareness & Mindfulness are definite the keys to experiencing the Wholeness of life! The price increases for Magickal Intensives will take effect from June. The options affected most significantly are those that are popular to the point that I’m over-booked now more months than I’m not! So the Killing Moon Karmic Reversal 30 Day Ritual Intensive – www.mayamagickal.net/killingmoon.htm which is currently £600 for the full 30 days, will be increased to £800 after the June cycle begins. The LightBody Activation Initiation Intensive (which is a 21 day programme) detailed atwww.mayamagickal.net/healingintensives.htmwill also be increased from £600 to £800. These changes will be taking effect in a matter of days so if you’re considering taking any of the options affected buying now rather than later would be recommended if you wanted to take advantage of the existing prices. 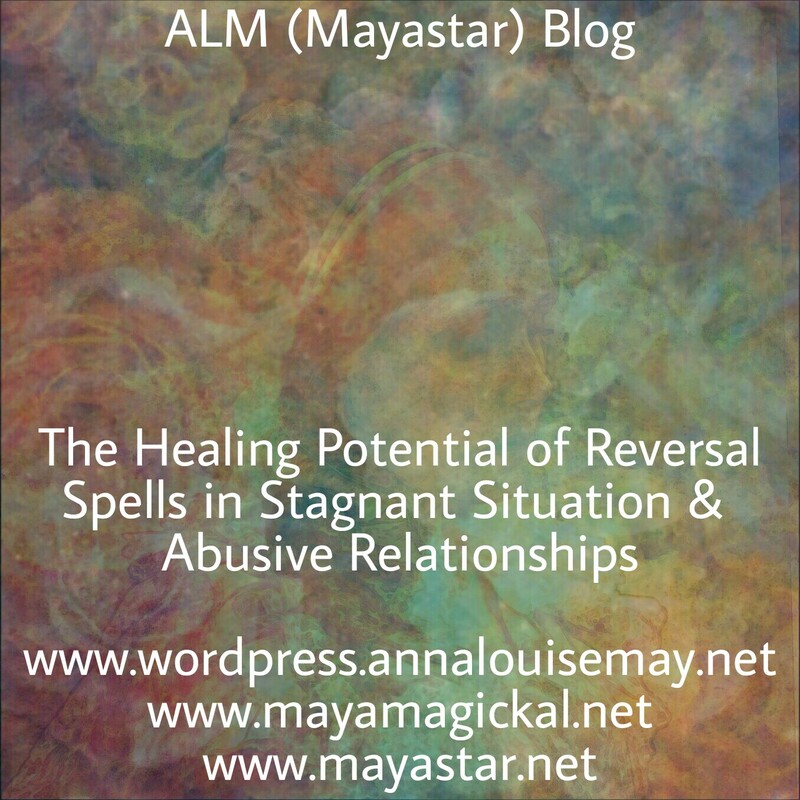 Additionally, if you would like information regarding reversal spells, psychic self defence, psychic attack and protection, as well as the details on the website that can be found at the links above, you may also wish to visit my blog at www.wordpress.annalouisemay.net where there are a number of articles that expand on the information on the site; the same goes for initiation work, self realisation and magick in general. 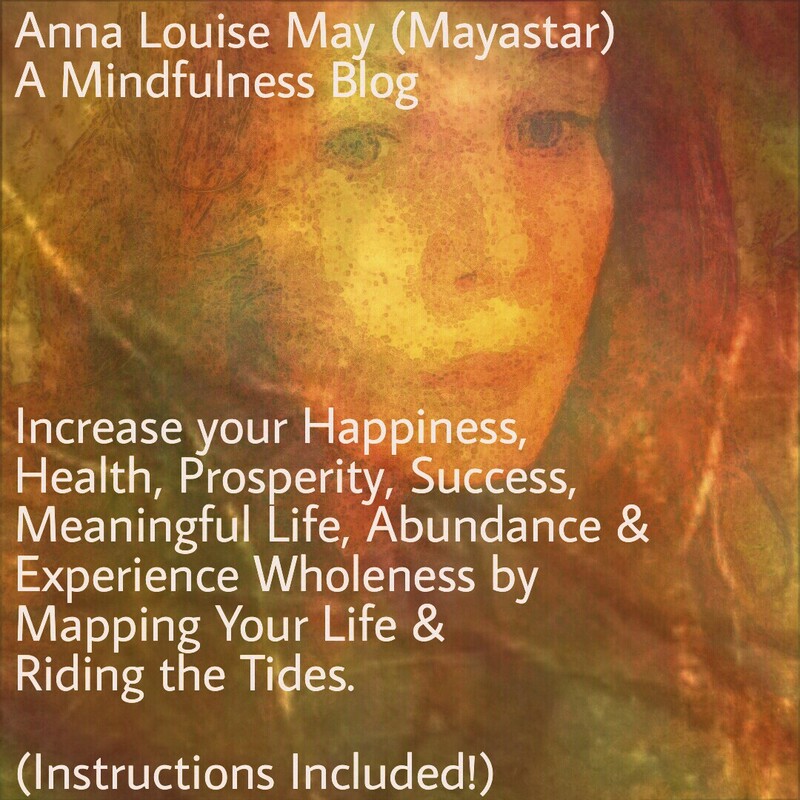 You can also find articles on my channel at www.youtube.annalouisemay.net. 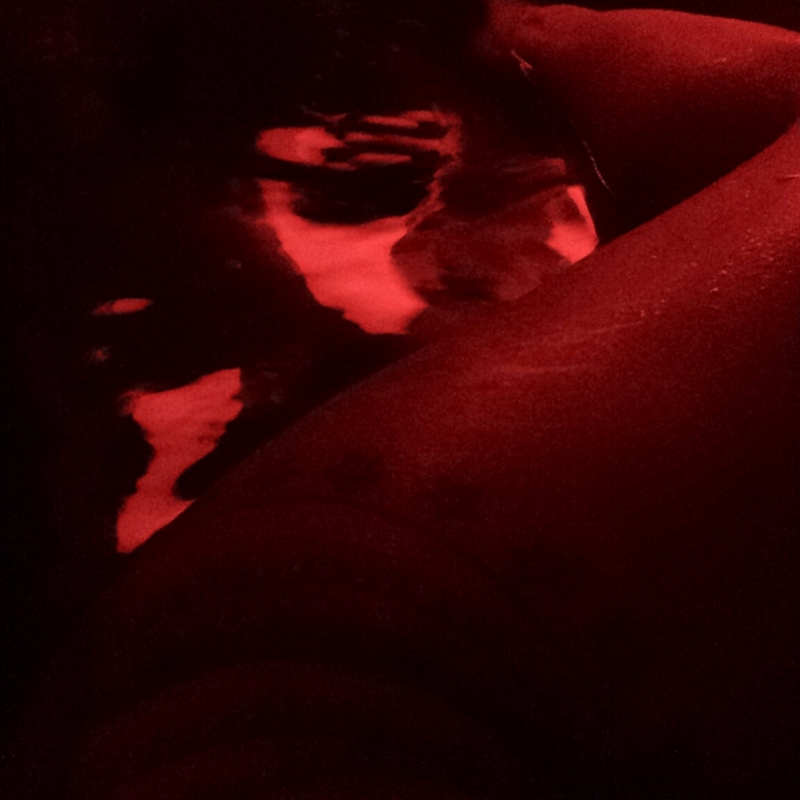 Today’s bathtime blog is about lying…what are the magickal implications of deception? What are the Karmic implications of lying from a philosophical stand point and what is the Magickal standpoint!? Many will simply summarise magick and the philosophy of “real magick” (the path to Self-Realisation) in a few terms that they fail to qualify with definition or explanation, rendering them essentially meaningless! I am endeavouring to ensure my blogs don’t make assumptions about definitions so sometimes I will reitterate basic precepts before providing an analysis on the subject at hand. The analysis is a personal and subjective understanding…these are original articles; not copies! An example of an unqualified meaninglesd statement is the often banded about definition of Magick: “Magick is the art of causing change to occur in accordance with Will.” Without a definition of Will, that doesn’t explain magick at all! Also the often parrotted phrase “An it harm none, do what thou will” – is equally meaningless unless we define “harm” and “will”. 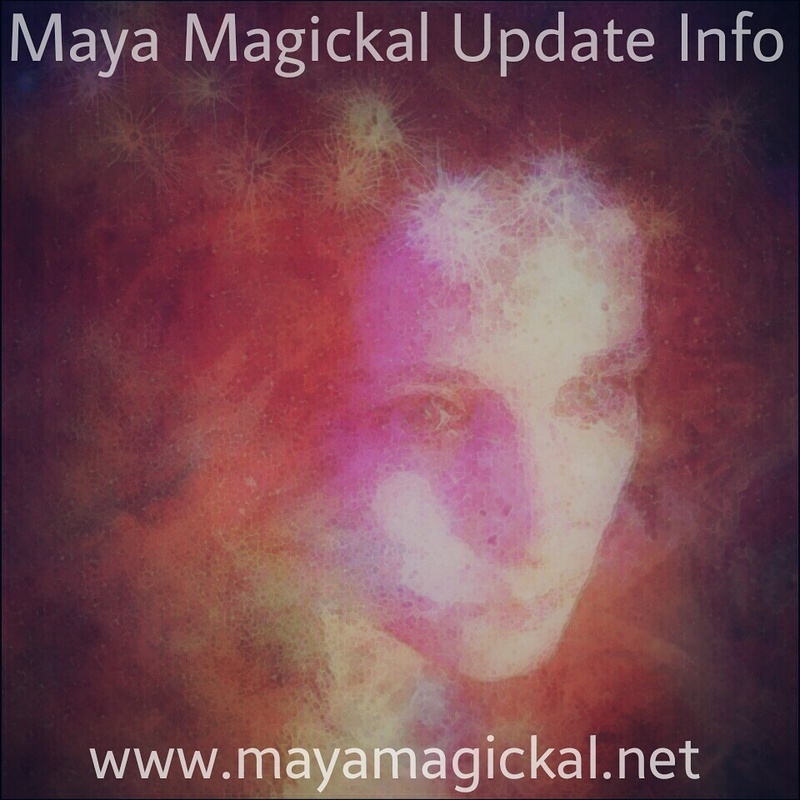 So this blog will begin with an over view of magick. The definition of terms. And then elaborate on the conclusions we can draw. I may include a personal anecdote as an example…I will see if I think that would assist in my “analysis” and make some concepts a bit more accessible by looking at a recent situation that inspired this pondering! Previous articles about my magickal work (Maya Magickal Spells & Personalised Initiation Programmes) have briefly described the actual definition of Magick. But in my blog I like to cover some more specific details. I think that way it helps to illustrate things that enable a better understanding. Sometimes Magick is called a mystery religion or cult. Or “The Black Arts”. The latter may sound ominous but using the words “dark” or “black” around Magick refers to the secrecy and hidden or symbolic meaning around it. Not to any tendency to darkness. But to remind us that Magick itself is an abstract process that we undertake in order to advance spiritually. The rituals and magickal tools common to Western Tradition Magick…even the words we use when describing Magick or practising ritual, need to be understood as symbolic of the reality they represent. Otherwise Magick would be a combinations of play acting and wishful thinking! Magick is the path to Self-Realisation for those moved (or “called”) to reconnect in a personal sense with that abstract divinity that exists within us; without us; and in all ways transcends us. Magick doesn’t refer to a specific method of achieving this. The whole life of a person is part of their development. Every experience is an opportunity to apply those principles that are an expression of our highest, purest and most perfect Self. The Higher Self. Living out that Philosophy of Magick means we are striving consciously to align our actions, thoughts and feelings with our Higher Self. The Higher Self is the Source of our Will: Our Truth. This is a major commitment to a process rather than a practice because there is no part of your life that doesn’t have significance. The most mundane elements of life are as important as the most transcendental when we consider them from the objective stance of the Philosophy of Magick. So as a path, it isn’t appealing to everyone. It isn’t a shortcut. It really is a devotion to the process of “refinement” and marked by the discipline to make our choices based on our Higher Will in all aspects of life. Even for the most commited, this isn’t an “easy” choice. It’s a series of choices and it does become easier but it often means we’re required the right thing to remain in alignment with our intentions. We will experience the same challenges with family commitments, work, relationships, making ends meet and social situations that may seem more easily solved in the short term by ignoring our Higher Will. We may struggle with dependence on drugs or alcohol. We may over eat or partake in other self destructive behaviours. All many of things can pose obstacles. But obstacles can provide us with the opportunity to exceed ourselves and may be a vital part of our development. But everyone will struggle sometimes with these things from time to time and it’s natural that sometimes we will lose perspective and need to resolve that later. These things may set us at odds with our Will. Our apparently immediate needs may sometimes eclipse our ability to retain alignment with our Truth. We may sometimes take time to recognise the state of incongruity we are in. And we may find we are very eloquent when it comes to justifying our bad choices over those we know instinctively would be a closer match to those of the True Will. So The Will as far as Magickal Philosphy is concerned, is the Truth of our Highest Intentions. It requires a lot of discipline, dedication and development of Self Awareness for us to approach the realisation of that Truth. Anything that we do that isn’t in alignment with that truth is born of lower needs or desires. The “wants” of ego based consciousness. Magick doesn’t mean destroying the ego, but it does mean making our Higher Will second nature and reconciling our ego to this; accepting it with a different perspective so we keep a balance on all levels. Retaining balance isn’t easy – most will develop/evolve spiritually and emotionally throughout their lives with swings back and forth between our Higher and Lower intentions. Magick means being active in the process of seeking that balance in order that we may progress spiritually. “An it harm none, do what thou Will” already has some clarification with the definition of Will. However, this is often soooo badly misinterpreted as the idea of the freedom to hedonistic indulgences by the less self-aware among us! Those with a very ego based consciousness find such a concept attractive. But doing our Will doesn’t mean the same as doing what we “want”. That would be very primitive and ego based interpretation of “Will”. It would define our base urges and wants as being our primary motivation in life. So the aspiring Mage’s first lesson is to learn the difference! Those seeking to learn Magick would do well to additionally study Yoga (especially Bhakti Yoga which is very similar philosophically to Magick); and Carl Jung’s work on psychoanalysis and the process of individuation. Now…”harm”. How would we define it…magickally. Magickally speaking the intention to cause someone harm is obviously unacceptable. Such an intention would have a hindering effect on the subject’s evolution consciously. Keeping them bound to an Ego centred state. Ego based consciousness is an emotionally immature state that reflects a spiritually immature state. So hindering your own development would not be congruent with the True Will. That’s the first very basic problem with lying. But by far it’s only the start of the problem. A famous man once said “Judge not, lest ye be judged”. An idea that concisely summarises the problem of negative intentions projected outward: the subject is affected by their intention far more than the object of their intention. Lying is an intentional act. Projecting negative intentions can have a restrictive effect on the other person too. Negative bonds can be created through this and over time may affect the object on an energetic level. That creates a Karmic debt between the negative intender and the victim of one. A situation that is potentially increasingly harmful if it persists. (Reversal spells are used to resolve and dissolve negative karmic bonds however they are created – for example The Nataraj Dance of Destruction Tantric Shamanic Ritual). Ego centred mindsets such as those in Narcissistic Personality Disordered people can create a lot of them too. Sometimes deliberately and sometimes unconsciously. The problem being they don’t have a sense of needing to resolve the imbalance they create – so people around them may find themselves manipulated or deceived because the conscience of the perpetrator lacks the normal conscience that prevents most of us directing our bad intentions outward. Magick is the path to Spiritual Maturity but it is reflected in our mental and emotional lives too so if someone seems badly adjusted emotionally, you can know that there is a spiritual and mental component to that imbalance. So harm, in a magickal sense, is any action or choice made that has a negative impact on yourself or on another. A negative impact means anything that may inhibit the evolution of consciousness and self realisation for yourself or another. Most black magick is carried out by amateurs in the form of healing spells or love spells which they believe are well intended. However, no one has the position of authority to decide what’s right for another person. If you have their permission that’s different. If you don’t, it’s black magick and is being used to manipulate another person to conform to your wishes as if you were the authority. So no matter how well intended it may be, Karmically you are doing a bad thing. Magickally your Ego is calling the shots and it’s liable to hurt you and others. Everyone has the choice. And sometimes part of our soul development means we need to suffer in some ways. We may need to hit rock bottom from time to time to be able to realise our potential. And as much as it may be hard to see someone suffer, you never have the right to try to remove that without their consent. Nor should you. You wouldn’t inject an upset person to stop them crying. It would be wrong. Doing a similar thing using magick is the same karmically. Doing it by lying to them is the same. All are methods of manipulation and control that involve taking away someone’s opportunity to learn from a mistake or a painful situation. That might be the worst kind of harm you could do to them; deny them their potential. It’s important for any aspiring magician, witch or mystic to learn to recognise these red flags in their own behaviour and to resolve them; not to passively assume they will sort themselves out. Passivity is also a choice. Standing by and doing nothing when you witness an injustice comes with a Karmic price. And choosing not to consciously deal with your own problems means your consciously accepting those problems. Conscious neglect may be as harmful to the aspirant as it is to people around them. A habit of “opting out” can be a destructive habit. And choice to make no choice so there is a Karmic debt associated with it. If you’re following this train of thought regarding the situation of lying…it’s a question that you have probably found an answer to a couple of paragraphs back! Yes. Lying is manipulation and magickally synonymous with black magick as is any attempt by any other means to manipulate someone to conform to your wants (your Ego). It requires a conscious decision to perpetuate such a crime against another; a decision defines you. You can’t be in alignment with your Truth if you’re able to lie to another person. It’s simply not possible. We know the harm that lying does to the liar psychologically. They condemn themselves to exist in a world where everyone is a potential enemy and to an extent dehumanised. This means they can’t truly trust so cannot truly love. They are bound by their actions. The evolution of consciousness requires honesty as basis. If we can’t be completely honest with ourselves, we’re kind of doomed to remain emotionally and spiritually stunted. Also over time such a bad habit can lead to paranoid thinking and delusion. Drug addicts can justify self destructive behaviours till the cows come home. Then they can justify their self destructive behaviours to the cows. But did justification in the mind of any junkie or alcoholic of their own bad habits ever save them from an overdose or liver damage? Of course not. Justifying your reason for lying is similarly pointless. Potentially dangerous because your trying to delude yourself. Essentially trying to brainwash yourself to make the unacceptable, acceptable to you. Recently an ex got in touch with me. He claimed he wanted forgiveness for essentially scamming me two years ago. His crime was deception. But how this escalated and the conclusion of the story sort of illustrates how damaging it was ultimately to him and everyone around him. His lies to me began as claims he was doing work for me. Learning software to convert my website. I paid him monthly for this. He was my fiance and I didn’t think a 40 year old man needed to be chased up. I didn’t consider he might just be nothing at all. I found that out later though that he had been accepting the money and not doing any of the work at all. I am a busy person and I enjoy my work and my hobbies so I didn’t have the time nor the resources to babysit someone who didn’t have any initiative or principles by constantly being “on them”. Also, as a 40 year old man I expected him to have some ethics! A fair enough assumption but ultimately incorrect! So his first lies were by ommission and half truths. When he left it was undoubtedly because he knew I would find him out. But in order to leave he had to come up with lies for his family as to why he was “running away”. It was a mystery to me what he could have come up with that would even be believable. His family know I work for myself. I have my own home. I work hard and I enjoy my work. They know I am a bit of a hippie and a bit of a bohemian. But also that I am disciplined when it comes to my work and my life – I keep fit, I dance, I play music and study. And most of all, that information isn’t a secret. 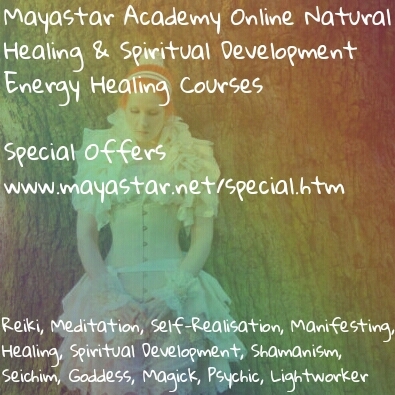 Because my work is primarily web based (Mayastar Academy Online Natural Healing & Spiritual Development Courses and Maya Magickal Spells & Personalised Initiation Programmes ) and has been since 2004, I have a significant online presence. I keep this blog of course…but also I use social media as part of my work and in my hobbies. So anyone typing “annalouisemay” into Google would quite quickly find out what I’m doing half the time! So I guessed he lied to his elderly parents hoping they wouldn’t be computer literate enough to find out the truth. Anyway. That was two years ago and I have a life…so I moved on. His email wasn’t expected and I was honest with him saying, you can email me and I will read it but I don’t know that I will be able to forgive you because I have moved on and I don’t think I care enough to be moved one way or the other by anything you have to say. And he emailed me his “explanation” for his 14 month “long con”. He had a lot of excuses…nothing that would in any way justify his behaviour. And it came off as a list of excuses. Not an apology at all but rather an attempt to vindicate himself…to assuage the problematic “holes” in his story for his own benefit. It definitely didn’t indicate any sense of personal responsibility or genuine contrition. It wasn’t even the truth in fact. He claimed he had lied to his parents about his life being at risk because of me a Witch. He didn’t elaborate on how that was put to his parents though. Did he claim I threatened him? That I was a satanist? That I was going to turn him into a toad? (Which in retrospect might have been considered “trading up” as I have never met a manipulative toad!). So even his “confession” had so many omissions as to render it unbelievable. That illustrates very clearly the problem with lying. He was very paranoid for the last few months he was here. To the point I contacted his family to find out if he had a history of mental illness or something. They indicated he didn’t. Looking back I expect the longer he strung me along the more worried he would have become that I would find out so his behaviour changed very gradually. And then hit the fan because we were due to visit his family that spring and he knew at that point he would be exposed. Another point to mention is that whatever reason you consider lying to another person for, it’s always setting you up as responsible for the outcome and dehumanising your peers. A very lonely position to end up in. But an inevitable one when manipulation of another person or people in general, is legitised by the liar. My example is sort of anecdotal – but the pattern of how “what goes around comes around” and how the deception may have begun as him lying to himself. Then lying by ommission to me. Then lying outright to me. But ended up with him lying to his whole family…and now being trapped by his own lies into living a lie. Two years on still seeking vindication from me to patch up his unstable mindset. He does claim he lied for all kinds of reasons including undiagnosed mental illnesses. Unfortunately, once someone’s begun to lie like that, their reasoning doesn’t sound plausible. So my advice would be, don’t lie! There isn’t such thing as a white lie. These things always come back around. Any form of deception is a form of manipulation and is by definition, harmful. The exclusive course options include Manifesting Guidance, Christ Consciousness Flush, Angel Journey, Higher Self Activations. And the v popular Healing Touch of Jesus attunements.